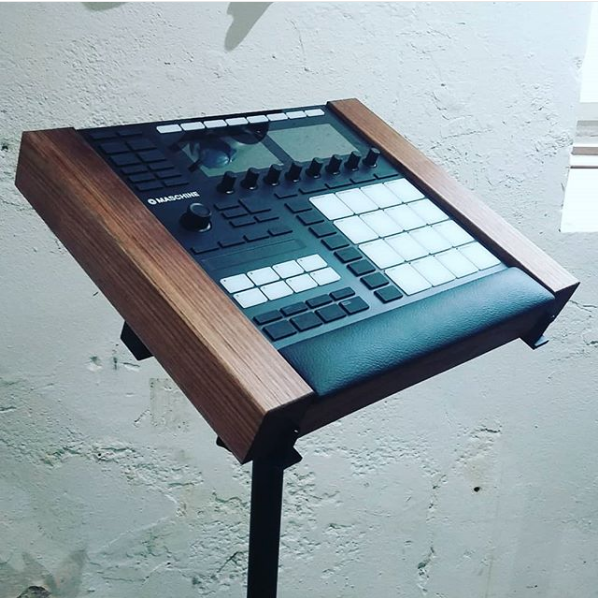 A practical and stylish stand mounting tray for the Maschine Mk3 from Native Instruments. Walnut trim, and a black vinyl padded strip on a solid plywood base. Fits the Quik Lok 400 stand.